LinkedIn is highly regarded as one of the best social media sites for individuals & companies to market their brands & connect people who are looking for employment opportunities with various small businesses & corporations. With 380 million users (107 million in the United States), it is clear that LinkedIn is the top place for companies to interact with potential employees, establish a credible online presence, & make valuable connections with people in various industries as well as executives in those industries. 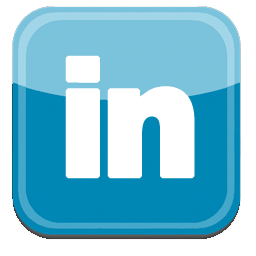 At Zipper, we can improve your company’s LinkedIn & search engine profile with providing real company followers. Followers for a company’s LinkedIn profile improves overall trust in a brand. Depending on the amount of followers required, our service will be completed in 1-2 days or 1-2 months for a significantly higher amount. Along with providing those followers, Zipper provides Twitter social mentions. With our social mentions service partnered up with LinkedIn, we will promote your company’s message to hundreds of thousands of Twitter users. Promote your company’s LinkedIn page with followers & marketing from Zipper, we will get your company the best social buzz available.